With each massage appointment, a customized treatment plan is created during the consultation at the beginning of each visit that establishes your expectations for the appointment. Each of our wellness therapiststs have a wide variety of techniques including deep tissue massage, relaxation massage, theraupetic massage and sports/injury massage to customize your healing experience. Do not feel like you have to pick one, communicate with your therapist about what you are looking for and together you can find the treatment for you. Our massage therapists can employ a range of techniques and approaches to assess and assist each individual's needs. We have conveniently broken up our massage services into categories to assist you below. All of our registered massage therapists are fully licensed with the 2200-hour educational requirements of all major extended health benefit plans. We currently provide direct billing for blue cross and most other major extended health benefits insurance providers. Just come in with your benefits card and let us get the payment applied while you enjoy your massage. Allow our healing hands bring new energy and life to your sore muscles, chronic pain and acute injuries. Focusing on a specific muscle groups, we can apply pressure and specialized techniques that will relieve pain and help guide you back to health. Our techniques include elements of both deep tissue and relaxation with a general massage pressure and flow in-between the two. Theraupetic massage at Wellness Within is the most popular type of massage and is a great starting point for the first time with a new therapist. "Melt into relaxation and ultimate healing with comforting and deeply therapeutic hot stones"
The therapeutic properties of hot stones have long been used to bring lasting relief and relaxation to stressed bodies & minds. Our therapists use smooth, heated stones, either as an extension of their own hands, or by placing them on the body while they massage other parts of the body. The heat can be deeply relaxing and help warm up tight muscles so the therapist can work break through the tension with ease. Cupping is a therapeutic technique that uses small glass cups as suction devices that are placed on the skin. The suction in the cups causes the skin and superficial muscle layers to be slightly pulled into the cup. Once applied onto the skin, the cups are either moved along meridian lines/muscle groups (gliding) or left in place for about ten minutes (stationary cupping). Jade Stone Massage provides a more penetrating massage because of the shape, energetic properties and the incorporation of both heated and cooled stones. At temperatures of 130°F and 32°F, the stones open and release tissues that are tight and knotted. This alternation of temperatures provides an internal workout, moving blood, lymph, and energy, leading the muscles to an increased energy state but a minor compromise on overall body relaxation. Our paraffin therapeutic massage utilizes the high energy capacity of paraffin wax to infuse the body with a deep penetrating heat, increasing circulation, pain relief, stiffness while improving the effectiveness of your massage treatment. Tier I students (also known as first year students) are performing their 80-hour volunteer practicum for their 1st year of schooling and are available only to Namaste Yoga Members as a member perk. Through that program, every Namaste member can get one free 60-min massage per month from a Tier I Student. Tier II (second year) massage students have completed 1250 hrs of schooling and have already completed their 80-hour practicum hours here at Wellness Within. They are insured, but cannot be billed through any massage benefits insurance plan. Elizabeth is a Registered Acupuncturist and Registered Massage Therapist who has worked at Wellness Within since 2013. She graduated from Grant MacEwan University in 2011 from their 2200hr Massage Therapy program and from the three year Acupuncture program in 2014. Her massage techniques are both relaxing and therapeutic, geared toward her client’s needs. She is trained in a variety of techniques including relaxation and therapeutic massage, deep tissue massage, prenatal massage, trigger point therapy, myofascial release and lymphatic drainage. Elizabeth has a passion toward her craft and enjoys broadening her scope of practice through continuing eduction. The courses she’s taken thus far include: • Treatment of Headaches through Massage Therapy Course • Maternal Massage Course o Prenatal Massage o Labor Massage o Postnatal Massage • Hot Stone Massage Course • Infant Massage Course • Advanced Myofascial Cupping Course Elizabeth enjoys working with people of all ages and enjoys how each one of her clients bring something new to the table to broaden her knowledge and experience. She looks forward to working with each and every one of her clients on their journey towards health through massage therapy and acupuncture. Anna is registered massage therapist that graduated from Makami college with 3000 hours. She also has an Eastern European background with speech therapist experience. She in trained in the following specializations: relaxation, therapeutic, deep tissue, myofacial release, prenatal, hot stone, lymphatic drainage and cupping. Anna focuses on releasing acute and chronic pain and stress management. She follows healthy style of life and loves all kind of sport. 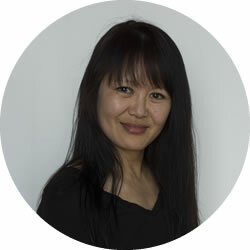 Karen is a Registered Massage Therapist practising full time for over 27 years. Her skill set and knowledge are diversified in other certifications such as; reflexology, touch for health, emotional freedom technique, hypnotherapy, active isolated stretching, meditation, kinesio taping, contemporary cupping, reiki master teacher and equine massage therapy. Gabbi is a Registered Massage Therapist from Edmonton, Alberta. Graduating from Mount Royal University in 2013, she completed the 2,200 hour Massage Therapy program. Following her graduation, she massaged in Calgary for two years before joining the Wellness Within team in February of 2016. Specializing in relaxation and therapeutic massage, she is also trained in prenatal massage, raindrop therapy and is experienced in treating clients of all ages. In her free time Gabbi enjoys spending time outdoors with friends and family. Gabbi looks forward to meeting new people and helping them maintain a healthy lifestyle. Aurora is a fully qualified Massage Therapist in good standing with the Remedial Massage Therapists Association. She completed her 2200-hour diploma at MH Vicars School of Massage Therapy and graduated in 2016. She's an excellent communicator and empathetic listener, upholding the highest standards of discretion and professionalism at all times. Aurora is particularly skilled and proficient at deep tissue massage, myofascial release trigger point therapy, Swedish massage and most recently cupping therapy. Tracey is a registered massage therapist with passion for natural health. She offers a holistic approach to massage which involves the healing energies of balancing the whole body to relieve stress and relax tight muscles and looks at what is going on with the entire body. Tracey enjoys the outdoors and is working towards a certification in sports nutrition. 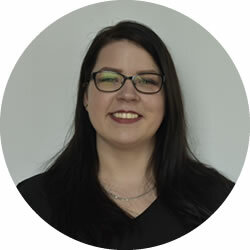 Caitlin is a graduate of the massage therapy program at Macewan University and is a current member of the Massage Therapy Association of Alberta (MTAA). She is a strong believer in a whole-body approach to help treat areas of not only discomfort and pain, but underlying causes as well. Caitlin has experience in modalities such as relaxation, deep tissue, therapeutic, sports massage, hot stone, acupressure and meridian massage. She is also well-versed in working with clients who have long-term injuries such as whiplash or frozen shoulder. Carmen is a graduate of the M H Vicars 2200 hour massage therapy program. She is a skilled therapist who loves her work and sees great value in being able to help her clients shift from a state of chronic stress to one of peace and relaxation. She believes that when the body and mind are given space to slow down and evaluate their current condition, they begin to work together to find a more healthy balance. Carmen uses her training in Swedish relaxation massage, myofascial release, and deep tissue work to create unique and effective treatments. She was first drawn to massage therapy as a means to help people live more comfortably in their bodies and she approaches each session with this goal in mind. Shauna has a Bachelor of Physical Education from the University of Alberta and completed Makami College's 3000 Hour Advanced Clinical Massage Therapy program in 2012. She is trained in Swedish relaxation, deep tissue, myofascial, sports, neuromuscular and orthopedic massage. Shauna is a former figure skating coach and has a special interest in treating headaches, back pain, and shoulder pain. For the better part of my life I have been a competitive athlete as well as a performer. My background in ballet specifically has given me discipline and determination to bring all that I have to my clients. Nothing I do is done half way. Sports have also given me a more practical knowledge of the musculature and functionality of the human body. I am always looking for new ways to help my clients get back to feeling a hundred percent. The type of clients I treat varies greatly, from athletes all the way to prenatal. All I ask of my clients is that they work for their health as well. After all no one is going to do the daily work necessary other than yourself. I am here to get the ball rolling and maintain the work we do together. Besides being known for my deep and specific pressure, I focus heavily on posture correction as well as lowering stress levels. Improving these two things has helped many people become happier and healthier. I use techniques that I have learned in different areas of the world, and I am always learning more. Start your wellness journey today. All we really have is today so make today amazing. Welcome to Wellness Within! My name is Karen Stachiw and I am honoured to be a part of this like-minded and professional team. I am an Advanced 3000 Hour Registered Massage Therapist graduating from Makami College. As a retired Primary Care Paramedic, I have witnessed many types of injuries over my 23 year career. At this point in my life, I wanted to be part of a team that helps people who are experiencing the aftermath of their injuries, reducing their stress and improving their quality of life. My skill set includes a diverse area of certifications including therapeutic,static pressure, myofascial release, cupping and relaxation. I also specialize in Intraoral TMJ injuries, including jaw disorders relating to grinding, clenching, disc displacement and stress. I am a 500 RYI specializing in Trauma Related Yoga and active in living a healthy life through the teachings of Ayurveda. Diane is a registered massage therapist and graduate of MH Vicars School of Massage Therapy’s 2200 hour program. Diane specializes in therapeutic massage, manual lymphatic drainage massage, deep tissue hot stone massage, Swedish and relaxation massage. Diane is also a holistic health practitioner of nutritional therapy and iridology. Diane’s interest in remedial massage therapy grew from the concept of treating the whole body, working from the inside - out, all parts being intricately connected. Diane believes in the healing power of therapeutic touch and has a particular interest in massage therapy that provides relief for those who suffer from chronic illness and pain such as fibromyalgia, chronic fatigue syndrome, inflammatory conditions and cancer. Through her practice she likes to draw on the knowledge that she has gained over the years from her various modalities and blend these therapies to provide her clients with a truly holistic treatment. April is a graduate of the M H Vicars 2200 hour massage therapy program and an active member of the Massage Therapy Association of Alberta. She is a skilled therapist who is passionate at what she does, and enjoys doing it well. Her personality reveals empathy and kindness, always having an open mind and heart towards others. She believes being a massage therapist is a way to facilitate calming the mind and body, which in turn allows for healing and wellness to flow. Her professional training permits her to treat specific health conditions and injuries, or provide general relaxation. She assesses and offers a massage experience exclusive to a client’s goals and comfort. Her scope of practice ranges from relaxation massage, therapeutic massage, deep tissue massage, trigger point therapy, myofascial release techniques, manual lymph drainage therapy, prenatal massage, and reflexology. Inspired to keep learning, Dynamic Cupping and Hot Stone Massage will soon be added to her repertoire. Angela is a Registered Massage Therapist. She received her first diploma from Southern Alberta Institute of Massage in 2001, and upgraded in 2016 with a 3000 hour program from Makami College in Edmonton. She has been with Wellness Within since June 2016 and tailors massage sessions based on her clients needs. Angela treats a variety of conditions from acute to chronic pain, pregnancy, and is best known for her treatment of stress management and reduction. We will get to the root of your tension no matter how deep you've hidden it. Deep tissue massage aims to release chronic patterns of tension in the body, through specific deep pressure and slow strokes at specifc concentrated areas. The intent of the massage is to work on the layers of the body’s soft tissues and particularly the structure which covers and encases them – the fasci. This technique can be corrective and is best suited for chronic issues. Deep massage techniques can utilize the knuckles, fists, elbows, and forearms but our therapists will always respect your pain tolerance levels, and will work with you to find a level of pressure that is comfortable for you. After a massage with our skilled therapists, you will feel more relaxed and looser than you have in years! Prenatal massage shares many of the goals of regular massage ­– to relax tense muscles, ease sore spots, improve circulation and mobility, and just make you feel good. But it's also tailored specifically to the needs of pregnant women and their changing bodies, and therapists who are trained in prenatal massage adjust their techniques accordingly. The mother's body is properly positioned and supported using pillows, massage bolsters and padding to allow for enhanced comfort and to create the ideal therapeutic massage position. Rediscover the feeling of being free and completely letting go. Allow our therapists to find that tranquil spot while focusing on relieving muscle tension and assisting in the removal of toxins from your system. By completely allowing yourself to relax, a relaxation massage provides assist in the reduction of muscle pain, migraine headaches, joint pain, overused or sore muscles, arthritis, Fibromyalgia, and muscle injuries. Relaxation massage can also help with a better night sleep and to speed the recovery times from mild illnesses. We will turn your down time into recovery and improvement time, quickly. Sports massage is used to boost performance to aid athletes in training, both before and after a competition. Pre-event treatment is designed to help athletes prevent injury, increase performance, and increase endurance. Post-event massage relieves pain, prevents stiffness, and decreases recovery time. Peak performance is easily acheived when attention is paid to your body. Help your body to function optimally by removing your body's restrictions.